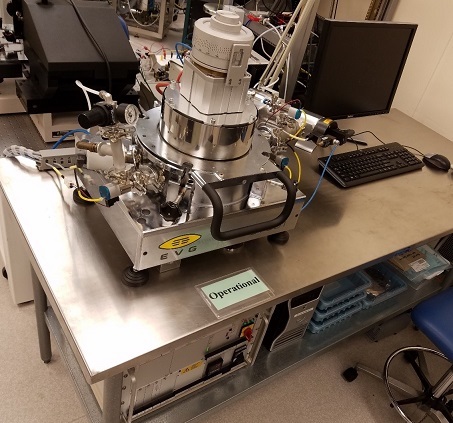 The Electronic Visions EV501 bonder is used to bond up to 6 inch samples under vacuum using either pressure and temperature or anodic bonding. The software allows for either manual or automatic processes. Custom recipes can be created, edited, and saved for future use. Process data can be recorded for further analysis. The maximum temperature is 500°C, and maximum piston force is 3500 Newtons. Anodic bonding can be accomplished with voltages up to 2000V DC and current up to 50mA. Precision aligned bonding can be performed in conjunction with the EV420 mask alignment system. Anodic and thermal bonding are possible for 4 inch and 6 inch wafers, and pieces that fit within a 4 inch wafer. Thermal bonding is also available for 2 inch wafers.